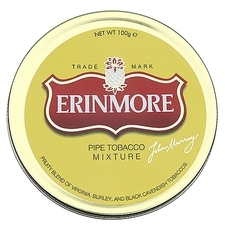 Available in two, distinct varieties and cuts, Erinmore pipe tobacco is the result of a rather secretive recipe — one which, in fact, is only revealed to two people in each generation. Selected from the premier tobacco growing regions of the world, each component is carefully handled and expertly blended to create a duo of pipe tobaccos as mysterious as they are delicious. 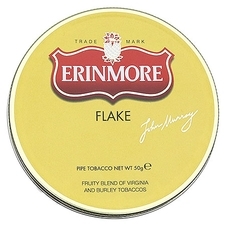 For a smooth, all-day smoke, Erinmore comes recommended by pipe smokers world-wide.